Written and sung by Curt, "Voices Galore", Gebhart, At the Zoo is an adventure for all ages, exploring the cast of characters one commonly encounters on a trip to the zoo. 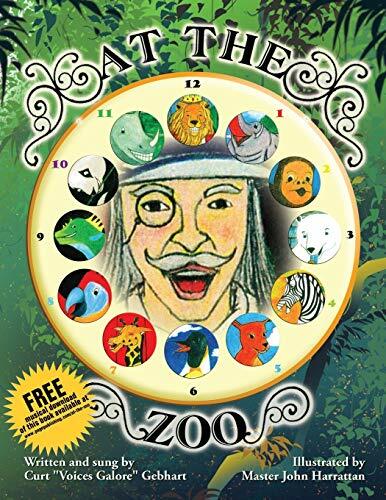 As educational as it is entertaining, this musical short story thrusts you into the magical world of the animal kingdom. Master John Harrattan's illustrations highlight the likes of Elephants, Polar Bears, Kangaroos, and many more. Each animal delightfully provides clues to its species, and even the zookeeper joins in to close out yet another wonder-filled day, "At the Zoo." The musical version, co-arranged and produced by Roland Parkins, displays a wide range of instruments as well as voices galore.